for his compassions never fail. The day we took Mom to hospice my cousin Patsy was with us. She was a great support to us, not just during hospice, but from the beginning of the Alzheimer’s journey. She is still in our corner and I am thankful for her. We tell her she is the oldest child, Mom’s first child as Mom helped care for her when she was a baby. She calls to check on us and she has come down to spend time with my father. I don’t think we could handle this journey without her. 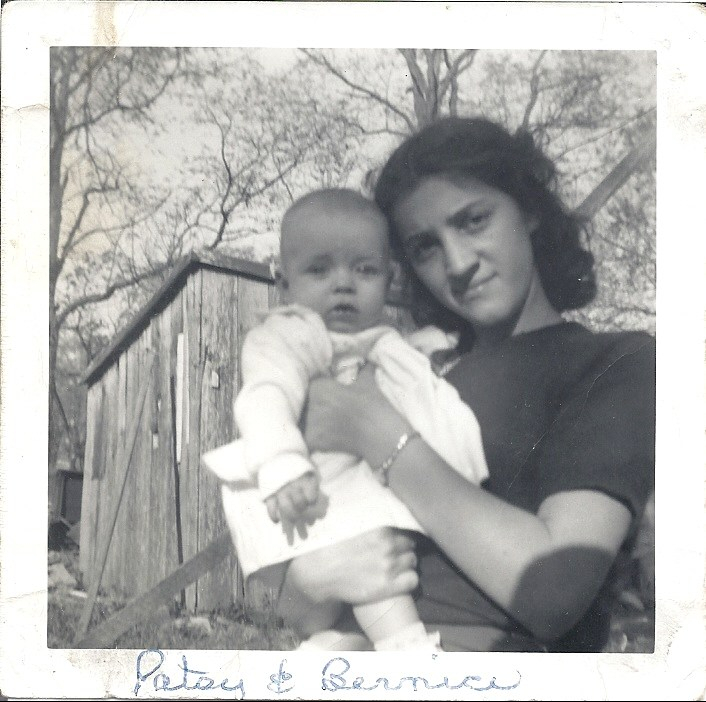 Patsy had a place in Mom’s heart long before she had her own children. Which is why I tell Patsy she is the older sister. Patsy stayed with Mom that first night in Hospice while I took Dad home. It had rained earlier and as we were driving home there was a beautiful rainbow in the sky. A reminder of God’s faithfulness. I knew it was a message for us that all would be well. I remember going to bed that night praying for God to be with Mom and for his will to be done. I was hoping for some kind of miracle; hoping that the x-ray they were taking would show nothing broken even though we’d already been told that it was more than likely. Still, I was finding hope in a rainbow. The next morning when we arrived back at hospice the doctor came in and confirmed our worst fears, that she was, in fact, suffering from a terminal injury. I remember letting the news sink in and going a little numb. No matter how much you are told in advance, you are never truly prepared for the moment when you have to face the inevitable. We made calls to the family and prepared to stay by her side for as long as she was with us. That second evening my Dad planned to stay and Patsy was going to go back home with me. Before we left we ran out to get dinner for my dad. On the way to the restaurant once again there was a rainbow in the sky. Another promise. This time I knew the promise did not hold a miracle this side of heaven but instead was a reminder that God is faithful, even in death. It was something to hold on to. He would give us new mercies. When we knew that Mom would not be coming home again and that we’d need to be making arrangements for a service, Dad said he wanted one of Mom’s poems to be put on the memorial card and read at her service. While looking through her poetry I came across one she’d written in 1974 called, The Rainbow. It was the only choice because God had already pointed it out to us in the sky. Come back tomorrow for more of the journey? Just a reminder that I usually post later in the day. Clicking on the ladybug graphic will take you to the first page in this series with links to the daily posts. Thanks for reading! That poem is beautiful. Thank you for sharing! She has several – over time I plan to share more of them. You are right in recognizing that your mom had a “child” before her natural children. I had a niece whom I loved like my own before my three children were born. Thanks for sharing your thoughts and your mother’s beautiful poem. Patsy was very much loved by Mom and she has been a tremendous support to us through our journey.